If you've been craving a fix of the CBC original podcast, On Drugs, the wait is nearly over. Season 2 launches February 13. This is a big year for drugs in Canada. The opioid overdose crisis is still growing, according to the latest numbers, and later this year, Canada will become the first major industrialized nation to legalize marijuana for recreational use. 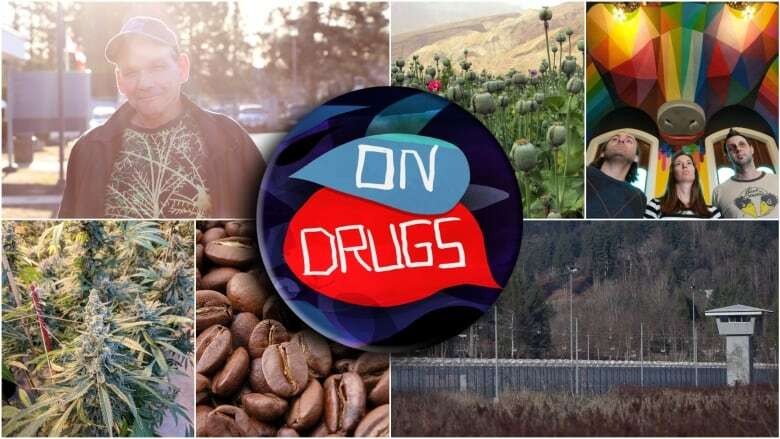 Season 2 of On Drugs will take deep dives into both of those subjects, but there's a whole lot more in store as well. Host Geoff Turner will explore the fascinating history of the world's most widely used psychoactive drug: caffeine. We'll learn about the sometimes harrowing world of clinical drug trials. We'll take you behind the bars of a Canadian prison to learn how drugs, crime and punishment intersect. Season 2 leaps straight into the deep end in the first episode — it's an examination of ways people have used drugs, especially psychedelics like ayahuasca and LSD, in the pursuit of spiritual enlightenment. You don't want to miss a moment, so make sure you've subscribed through Apple Music, or wherever you get your favourite podcasts.